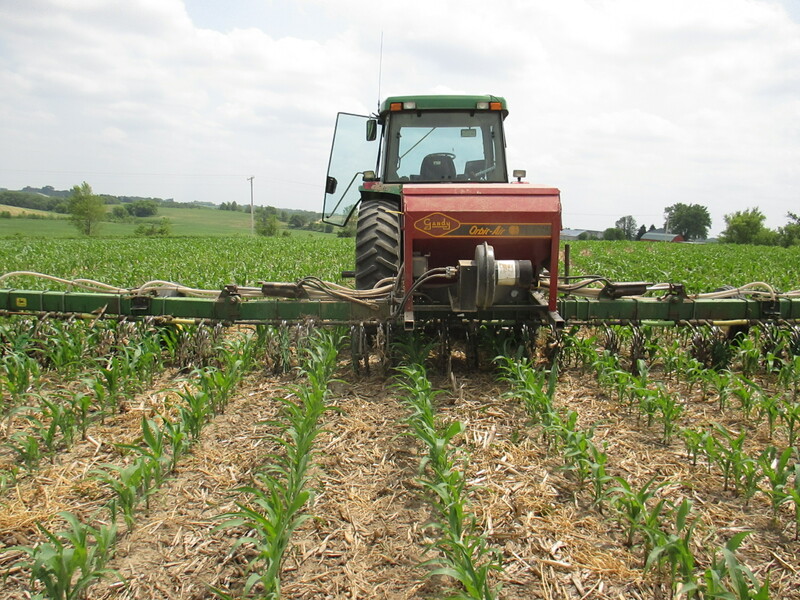 Don Elsbernd, an Allamakee SWCD commissioner, has been trying different methods of cover crop seeding over the years. This year he seeded ryegrass cover crop into V5 corn on June 12. 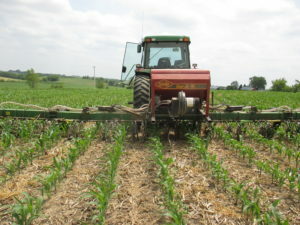 His seeding method included 2 rotary hoes set up in between corn rows combined with an air seeder. The rotary hoes help to fracture the soil surface, stir up the residue, and increase seed to soil contact. He seeded at a rate of 10-15 pounds per acre. 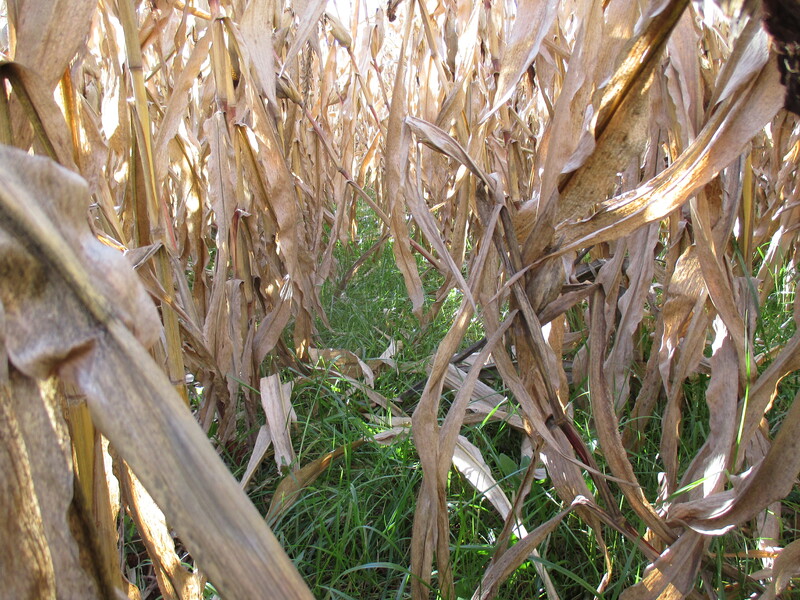 The corn crop was harvested on October 25. 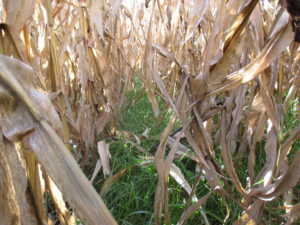 The ryegrass created a carpet of green beneath the corn canopy. 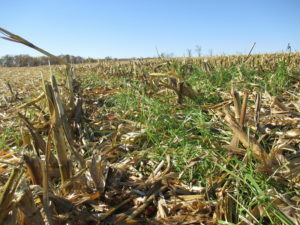 After corn harvest, the ryegrass should continue to grow and help protect the soil surface from fall and spring rains. Having a living cover and its associated roots helps to support diverse “underground livestock” including microbes and worms. This underground life helps to improve soil health, increase glomalin (soil glue), and break down organic matter. 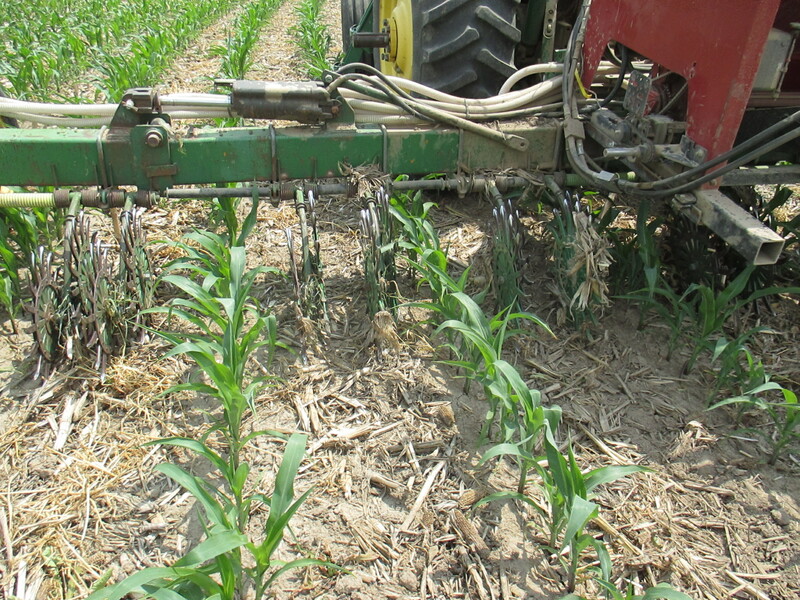 On fields that are continuous corn, the microbes help breakdown surface residue, which is especially useful in a no-till system. Seeding cover crops at V5 gives a longer time for cover crop growth before winter. 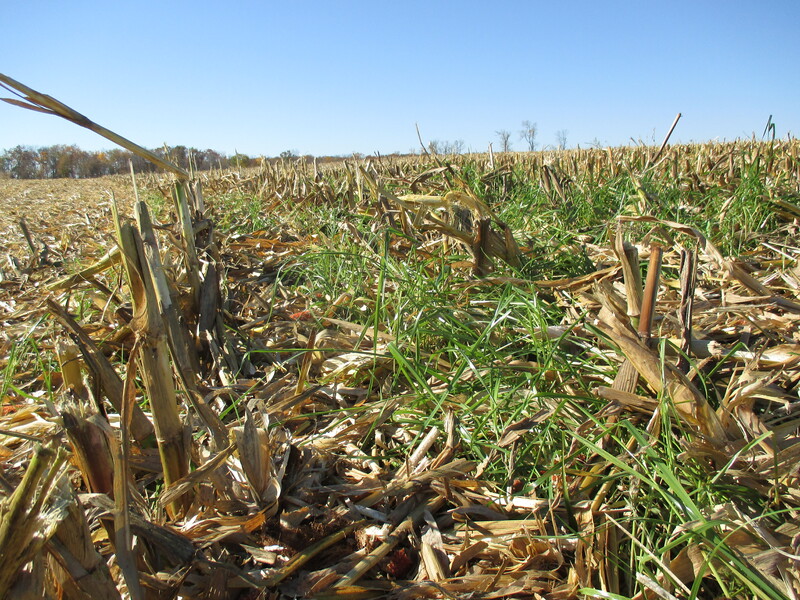 However, it currently does not fit into the NRCS cover crop guidelines, and therefore cannot be cost-shared. By seeding in June, it not only helps the cover crop get established early, but also results in one less activity to be completed around harvest time.